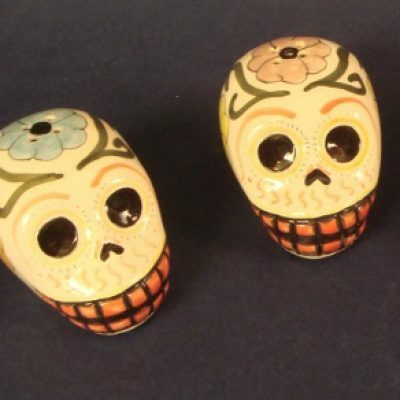 Day of the Dead refillable ceramic skull Salt and Pepper shakers. Perfect for holiday celebrations with your family and friends. Sold as pairs.